Two English muffins or a piece of store bought Naan bread will form the shape of the face for these individual mini Scream Face Pizzas. 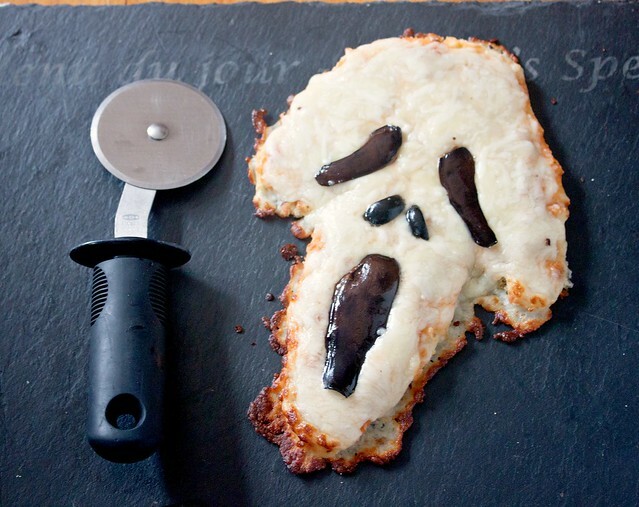 If you're making for a group of kids, either construct the pizzas and place them on an oven sheet - show them the pan with the pizzas uncooked and then again after they're cooked - so they can see how the cheese melted and the scream face formed. Or... cook them right before kids arrive, turn off the oven and allow them to keep warm in the oven until ready to serve.